2. Running so late that your hair is still wet from the shower? Just crown braid or rope twist wet hair and roll it into a bun. This looks so impressive, but really it’s NBD. Wet hair is actually easier to crown braids because you don’t have to deal with flyaways. Get the full tutorial here. 3. Make a faux undercut with a deep part and a braid. 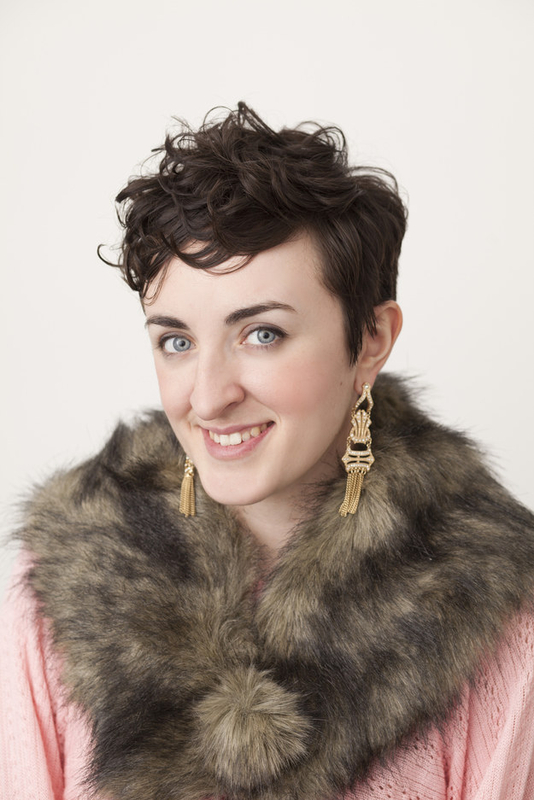 Get the benefit of the ~shaved~ look without getting anywhere near a buzzer. Remember to use a texturizing spray (I love Herbivore’s Sea Mist spray that you can get for $10) to truly define those curls. Get the tutorial here. 4. Opt for an undone sock bun that feels so damn romantic. This effortless look is a great solution for a humid day when you need to get your hair off of your neck. Get the tutorial here. 5. Got short curly hair? Turn three flat pins into a triangle to seriously keep hair out of your face and look stylish as hell. 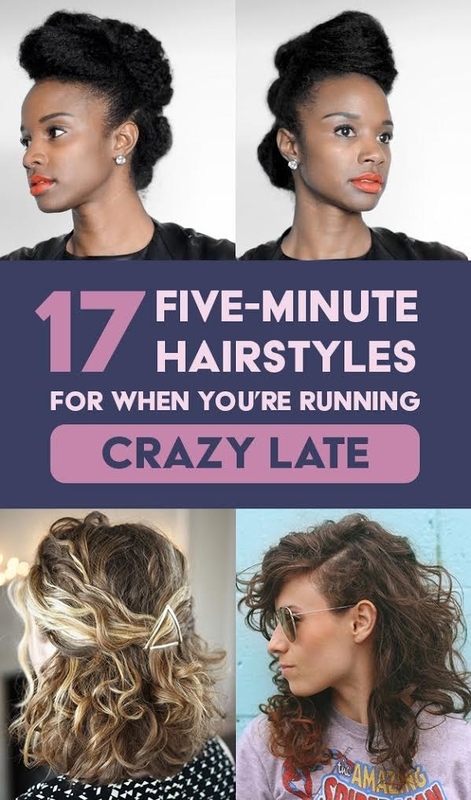 Keep it cute, curly, and super quick. Learn more about it here. Check out these adorable flat pins from ban.do for $15. 6. 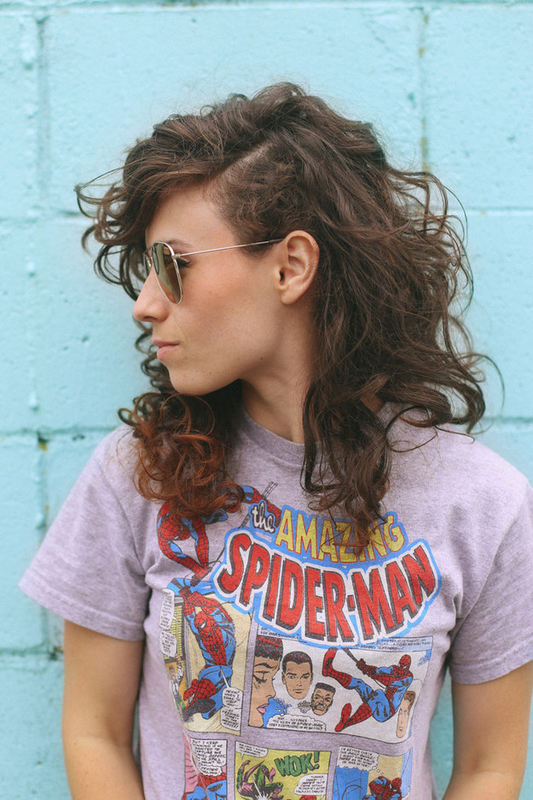 Make a curly faux hawk TO DIE FOR in under 10 minutes. 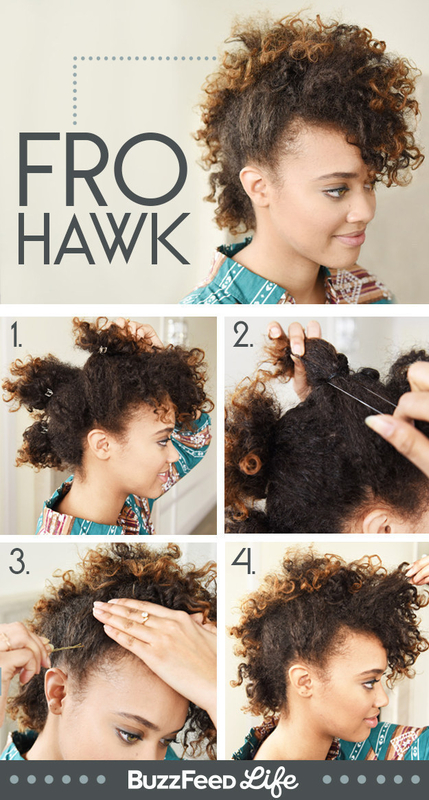 Four steps to a fro hawk? Yes, please. Get the tutorial here. 7. 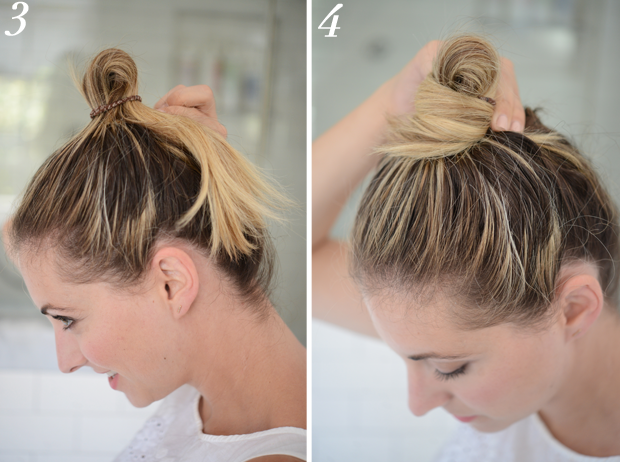 If a bun is your go-to last-minute look, try three all at once. If one bun takes you five seconds, then you can do three in well under a minute. Get the tutorial here. 8. Add a curl or two to short hair. Curl a few sections of hair around the face with a half-inch curling iron to make thin hair look thicker. And if you’re looking to invest in the *perfect* curling iron, consider the Beachwaver. This curling iron rotates in both directions to give you glam waves and curls IN AN INSTANT. Get the tutorial here. 9. Create a vintage-inspired look in little to no time. This is such a cute way to keep hair out of your face. Just twist a small section of hair from one side of your head and secure it with two criss-crossed bobby pins just above your ear. Then, add pretty clips of your choice. Get the tutorial here. Get the retro hair clips pictured from Modcloth for $12.99 each. 10. 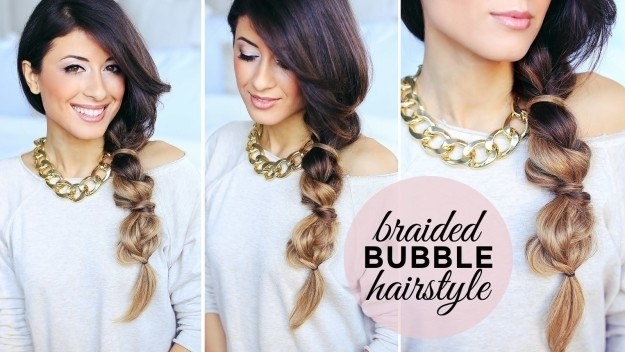 Ditch your classic three-stand braid for a much easier *bubble* braid. It’s SO much easier than it looks. Get the tutorial here. 11. If you want to take your messy bun to the next level, wrap your hair around the base. Try this technique on super long and shoulder-length hair alike. If you have layers that fall out of the back of your top knot, use cute rose gold bobby pins like these that you can get from band.do for $12. Get the tutorial here. 12. 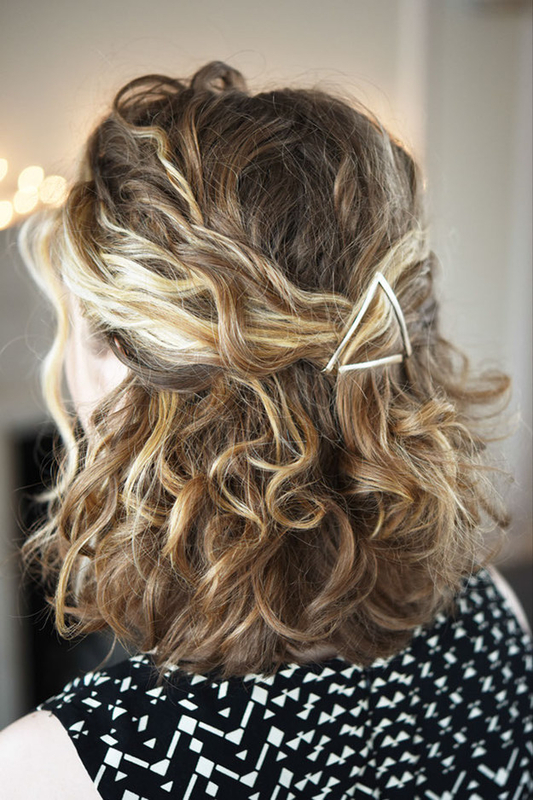 Use a few embellished hair pins to turn a small braid into a statement. More is MORE. Pile on embellished hair clips to make a two-minute braid look like it took you 20 minutes. Get the tutorial here. Check out cute embellished hair clips and pins here. 13. 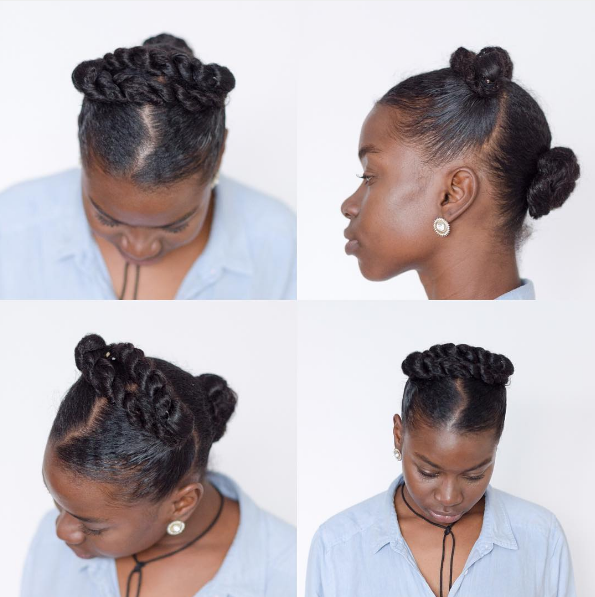 Turn 2-second pigtails into a pulled-back crown braid. Part your hair in three sections, twist each section (crossing the two in front and winding the back one into a bun), and secure them with pins. Get the tutorial here. 14. 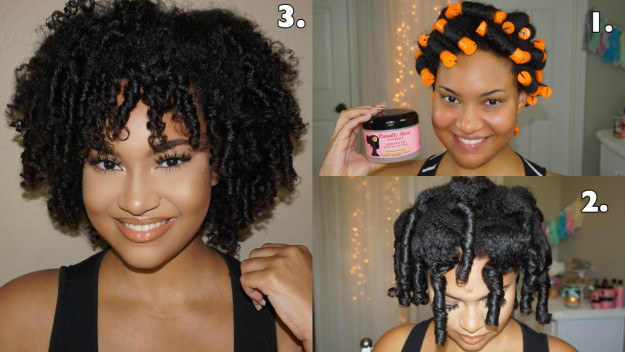 Set your hair in perm rods the night before and make your life SO much easier. Wake up to the most gorgeous curls you’ve ever seen. Get the tutorial here. 15. Double layer your ponytail to make it look twice as long. Yes, you can totally fake long hair. Get the tutorial here. 16. For short, natural hair, throw on a headband. The trick here is to push the headband about half of an inch past your hairline for a polished look that takes seconds. Try a headband with a little bit of shimmer like this one from ASOS for $15.50. 17. Start and finish this elegant updo before you run out the door. 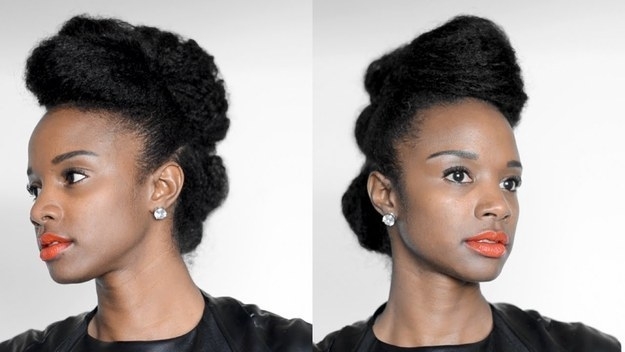 Hair guru Nik Scott says that this look takes her LESS than 5 minutes to complete. Get the tutorial here.